Our Boccia Club started in June 2014. Boccia (pronounced bot-cha) is a Paralympic sport, similar to bowls, that is played sitting down. The club is open to anyone with a learning disability aged 12 and over. 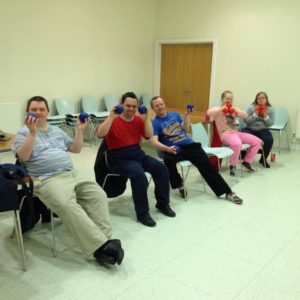 As well as playing games of boccia the club will have some chair based exercises to warm up and various target games to practice throwing techniques and aim. If you are are interested in becoming a member (or someone close to you is), please email laura@keynshammencap.org.uk .